Cities: Capital: Panama City (430,299), Panama District (880,691), Panama Province (1,713,000). Other cities — Colon City (34,655), Colon district (206,553), David City (82,907), David District (144,858). Terrain: Mountainous (highest elevation Cerro Volcan Baru, 3,475 m. (11,468 ft.); coastline 2,857 km. (1,786 mi.). Nationality: Noun and adjective — Panamanian(s). Ethnic groups: Mestizo (mix of African, Indigenous, and European — mostly Spanish — ancestry) 67%, Indigenous 12.3%, African descent 9.2%, Other including Caucasian and Chinese 11.5%. Education: Years compulsory: primary grades 1-6, or through age 15. Attendance — 98.4% for primary school-age children (grades 1-6 or ages 6-11), 73.8% for basic secondary (grades 7-9 or ages 12-14), 44.9% for specialized secondary (grades 10-12 or ages 15-17), 34.9% for tertiary. Literacy — 94.5% overall; much lower literacy in Comarcas Ngobe Bugle 69.2%, Kuna Yala 71.7%, Embera 77.1%. Health: Infant mortality rate (2009): 12.2 deaths/1,000 live births, higher in Comarcas Embera 32.1%, Kuna Yala 22.3%, and Ngobe Bugle 19.2% and Bocas del Toro 26.6%. Life expectancy 75.3 77.6 yrs women, 72.8 men (2007). Work force: 1.532 million: Commerce (wholesale and retail) — 17.9%; agriculture, cattle, hunting, silviculture — 15.4%; construction — 10.6%; industries (manufactures) — 8.6%; transportation, storage, postal — 6.5% %; private home domestic services — 4.6%; public and defense administration — 6.2%; hotels and restaurants — 5.1%; teaching — 5.8%; social and health services — 3.7%; financial services — 2.0%. Branches: Executive: president (chief of state), vice president. (A second vice presidential slot was abolished starting with the 2009 electoral cycle.) Legislative — National Assembly (unicameral; 71 members, reduced from 78 to 71 members for May 2009 elections). Judicial — Supreme Court. Political parties: Panameñista Party (formerly the Arnulfista Party (PA); Democratic Change (CD); National Liberal Republican Movement (MOLIRENA); Democratic Revolutionary Party (PRD). Annual growth rate: 7.5% (2010 est. ); 3.2% (2009 prelim. ); 10.0% (2008); 12.1% (2007). Agriculture, Fishing, Mining (5.7 % of GDP, 2010 est. ): Products — bananas, corn, sugarcane, rice, coffee, shrimp, timber, vegetables, livestock. Trade (2010): Exports (goods): $725 million in exports, with salmon/tuna as the largest dollar amount, followed by beef, watermelon, shrimp, and pineapples. Export partners (as a percentage of total export value in 2009) — U.S. 29%, China (P.R.C.) 5.0%, Taiwan 5.0%, Costa Rica 6.8%, Canada 10.5%, Sweden 6.9%, Netherlands 7.0%. Imports (goods) — $9.1 billion was imported in 2010: petrol and fuel oils capital goods, foodstuffs, chemicals, and consumer and intermediate goods are the leading imports. Import partners (2009) — the top five countries include the U.S. 27.5%, Costa Rica 4.9%, Mexico 4.3%, China 5.4%, and Japan 3.2%. U.S. exports to Panama (2009) — $4.3 billion: primarily oil and capital- and technology-intensive manufactured goods. Panama exports to U.S. (2010) — $211 million: primarily seafood and repaired goods. Panamanians' culture, customs, and language are predominantly Caribbean Spanish. Because of Panama's unique location as a transit point and because of people coming over the years to work on the railroad and the Canal, the majority of the population is ethnically a mix of Spanish, indigenous, and of African descent. The remaining population is of Afro descent, Caucasian, indigenous, Chinese, and others. Spanish is the official and dominant language; English is a common second language spoken by the West Indians and by many businesspeople and professionals. More than half the population lives in the Panama City-Colon metropolitan corridor. Panama is rich in folklore and popular traditions. Lively salsa — a mixture of Latin American popular music, rhythm and blues, jazz, and rock — is a Panamanian specialty, and Ruben Blades its best-known performer. Indigenous influences dominate handicrafts such as the famous Kuna textile molas. Artist Roberto Lewis' Presidential Palace murals and his restoration work and ceiling in the National Theater are widely admired. Roberto Duran is a famous boxer. Mariano Rivera is a pitcher for the New York Yankees. As of 2010, more than 117,600 Panamanian students attended the University of Panama, the Technological University, the Autonomous University of Chiriqui , and the University of Santa Maria La Antigua, a private Catholic institution. Including smaller colleges, there are 88 institutions of higher education in Panama. The first 6 years of primary education are compulsory. As of 2010, there were 723,666 students enrolled in primary and secondary school. More than 94.5% of Panamanians are literate. The United States froze economic and military assistance to Panama in the summer of 1987 in response to the domestic political crisis in Panama and an attack on the U.S. Embassy. In April 1988, President Reagan invoked the International Emergency Economic Powers Act, freezing Panamanian Government assets in all U.S. organizations. In May 1989 Panamanians voted overwhelmingly for the anti-Noriega candidates. The Noriega regime promptly annulled the election, and embarked on a new round of repression. By the fall of 1989 the regime was barely clinging to power, and the regime's paranoia made daily existence unsafe for American citizens. On December 20, 1989, President George H.W. Bush ordered the U.S. military into Panama to protect U.S. lives and property, to fulfill U.S. treaty responsibilities to operate and defend the Canal, to assist the Panamanian people in restoring democracy, and to bring Noriega to justice. The U.S. troops involved in Operation Just Cause achieved their primary objectives quickly, and Noriega eventually surrendered to U.S. authorities. He completed his sentence for drug trafficking charges in September 2007. In August 2007, a U.S. federal court in Miami found Noriega extraditable to France to serve a sentence imposed there after an in absentia conviction for money laundering. Noriega was extradited to France in April 2010 after exhausting all his appeals in U.S. courts, and was sentenced to a 7-year prison term. Panama's Electoral Tribunal moved quickly to rebuild the civilian constitutional government, reinstated the results of the May 1989 election on December 27, 1989, and confirmed the victory of President Guillermo Endara and Vice Presidents Guillermo Ford and Ricardo Arias Calderon. During its 5-year term, the often-fractious Endara government struggled to meet the public's high expectations. Its new police force was a major improvement over its predecessor but was not fully able to deter crime. Ernesto Perez Balladares was sworn in as President on September 1, 1994, after an internationally monitored election campaign. On September 1, 1999, Mireya Moscoso, the widow of former President Arnulfo Arias Madrid, took office after defeating PRD candidate Martin Torrijos, son of the late dictator, in a free and fair election. During her administration, Moscoso attempted to strengthen social programs, especially for child and youth development, protection, and general welfare. Moscoso's administration successfully handled the Panama Canal transfer and was effective in the administration of the Canal. The PRD's Martin Torrijos won the presidency and a legislative majority in the National Assembly in 2004. Under Torrijos, Panama continued strong economic growth and initiated the Panama Canal expansion project. In May 2009, Panama held general elections and selected Ricardo Martinelli as president. President Martinelli assumed the presidency on July 1, 2009 and promised to promote free trade, establish a Panama City metro system, reform the health care system, and complete the expansion plan for the Panama Canal. Panama is a representative democracy with three branches of government: executive and legislative branches elected by direct vote for 5-year terms, and an appointed judiciary. The judicial branch is organized under a nine-member Supreme Court (each judge is appointed for a 10-year term) and includes all tribunals and municipal courts. An autonomous Electoral Tribunal supervises voter registration, the election process, and the activities of political parties. Anyone over the age of 18 may vote. Panama maintains an embassy (http://www.embassyofpanama.org/) in the United States at 2862 McGill Terrace, NW, Washington, DC 20008 (tel: 202-483-1407), and consulates in Washington DC, Honolulu, Houston, Miami, New Orleans, New York, Philadelphia, San Juan, San Diego, and Tampa. As of July 2010, the Panamanian Security Forces consisted of the Panamanian National Police (PNP), the National Frontier Service (Servicio Nacional de Fronteras or SENAFRONT), the National Aero-Naval Service (Servicio Nacional Aero-Naval or SENAN), and the Institutional Protection Service (SPI — a secret service equivalent). A constitutional amendment passed in 1994 permanently abolished the military. The lead criminal investigative entity is the Judicial Investigative Directorate (DIJ), which was previously under the nominal direction of the autonomous Attorney General and known as the Technical Judicial Police (PTJ). The DIJ is now part of the PNP, though it maintains investigative links with the Attorney General's office. Panama's economy is based primarily on a well-developed services sector that accounts for 77% of GDP. Services include the Panama Canal, banking, the Colon Free Zone, insurance, container ports, flagship registry, tourism, and medical and healthcare. In October 2006, Panamanians voted overwhelmingly in favor of a $5.25 billion Canal expansion project to construct a third set of locks, which is expected to be completed in 2014. The Government of Panama expects the project to be a transforming event for Panama that will provide 7,000-9,000 direct new jobs during the peak construction period of 2009-2011 and increase economic opportunities for years to come. The expansion is financed through a combination of loans from multilateral institutions and current revenues. In July 2009, the Panama Canal Authority (ACP) awarded the contract to build the locks to an international consortium led by Spain's Sacyr Vallehermoso. The locks will be 60% wider and 40% longer than the existing locks so the Canal can handle all but eight of the world's container vessels, along with supersize tankers and bulk carriers of ores and grains. GDP growth in 2009 was 3.2%, reflecting a slowing of the robust growth of 10.1% seen in 2008. 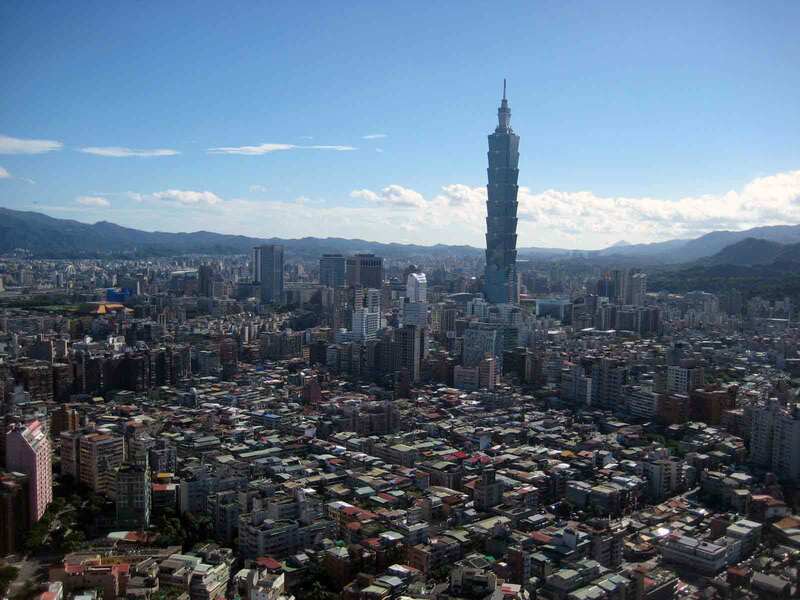 Although growth slowed in 2009, due to the global economic downturn, it has improved in 2010 and is still one of the most positive growth rates in the region. Growth has been fueled by the construction, transportation, maritime, and tourism sectors and Panama Canal-related activities. As a result of this growth, government deficit as a percentage of GDP dropped to 43% in 2009, and government-issued debt is classified as the lowest rung of investment grade. Socially, poverty has fallen from 1997 to 2008 — overall poverty fell from 37.3 to 32.7%, and extreme poverty fell from 18.8% to 14.4%. Panama has bilateral free trade agreements (FTAs) in force with Chile, El Salvador, Taiwan, Singapore, Guatemala, Honduras, Nicaragua, and Costa Rica. It completed negotiations with Canada and the European Union. Panama has started free trade negotiations with Colombia, Peru and EFTA. The U.S. and Panama signed a Trade Promotion Agreement (TPA) in June 2007. The agreement was overwhelmingly approved in July 2007 by the Panamanian National Assembly, but has yet to be ratified by the United States Congress. In April, 2011, Panama completed indicated steps relating to labor code and tax transparency to ready the Trade Agreement for submission to Congress. Once implemented, the agreement will promote economic opportunity by eliminating tariffs and other barriers to trade of goods and services and will provide a framework for any trade disputes. Panama is a member of the UN General Assembly and most major UN agencies. It maintains membership in several international financial institutions, including the World Bank, the Inter-American Development Bank, and the International Monetary Fund. 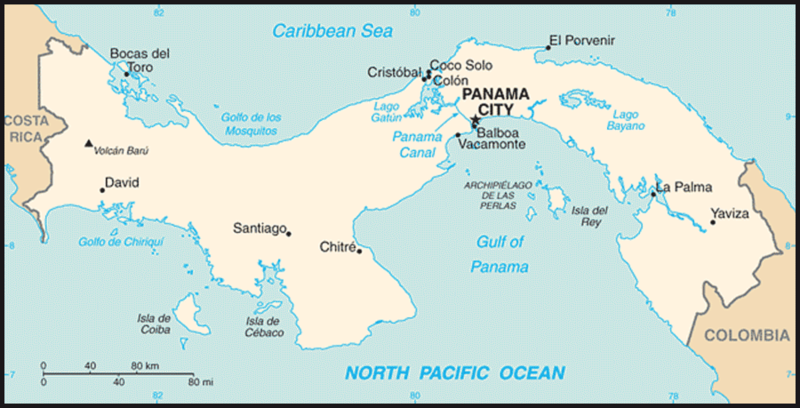 Panama is a member of the Organization of American States and was a founding member of the Rio Group. Although it was suspended from the Latin American Economic System — known informally both as the Group of Eight and the Rio Group — in 1988 due to its internal political system under Noriega, Panama was readmitted in 1994 as an acknowledgment of its democratic credentials. 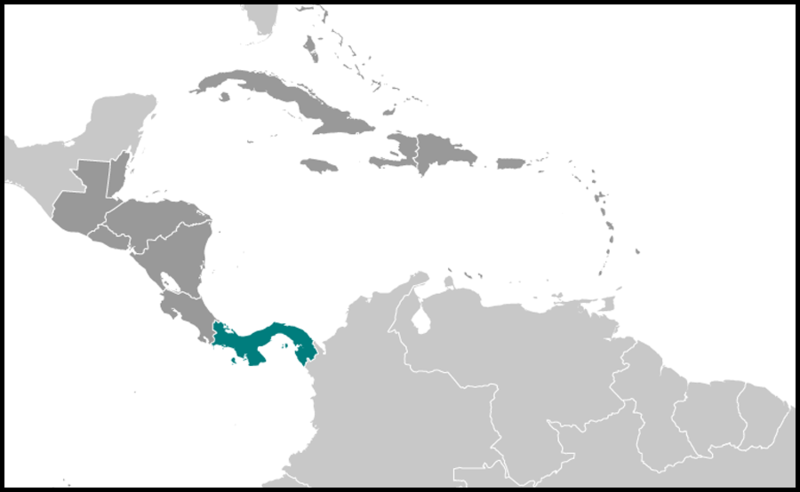 Panama is a member of the Central American Integration System (SICA). It is in the process of withdrawing from the Central American Parliament (Parlacen). Panama joined its six Central American neighbors at the 1994 Summit of the Americas in signing the Alliance for Sustainable Development, known as the Conjunta Centroamerica-USA or CONCAUSA, to promote sustainable economic development in the region. The United States cooperates with the Panamanian Government in promoting economic, democratic, security, and social development through U.S. and international agencies. Cultural ties between the two countries are strong, and many Panamanians come to the United States for higher education and advanced training. In 2007, the U.S. and Panama partnered to launch a regional health worker training center. The center provides training to community healthcare workers in Panama and throughout Central America. About 27,000 American citizens reside in Panama, many retirees from the Panama Canal Commission and individuals who hold dual nationality. There is also a rapidly growing enclave of American retirees in the Chiriqui Province in western Panama. In the economic investment arena, the Panamanian Government has been successful in the enforcement of intellectual property rights and has concluded a Bilateral Investment Treaty Amendment with the United States and an agreement with the Overseas Private Investment Corporation. Although money laundering remains a problem, Panama passed significant reforms in 2000 intended to strengthen its cooperation against international financial crimes. The U.S. Embassy Panamaweb@state.gov (http://panama.usembassy.gov/) in Panama is located at Edificio 783, Avenida Demetrio Basilio Lakas, Clayton, Panama City (tel: 507-207-7000). Personal and official mail for the embassy and members of the mission may be sent to: U.S. Embassy Panama, Unit 9100, DPO AA 34002. E-mail: http://panama.usembassy.gov/american_citizens_service_unit.html (Panamaweb@state.gov). The Embassy's information for travelers is available at (http://panama.usembassy.gov/american_citizens_service_unit.html).